Thank you for joining the growing number of providers in southwest Montana who are expanding their ability to work with families in the perinatal period. The Roots Wellness Guide highlights those providers who have received specific training in Perinatal Mood and Anxiety Disorders (PMADs) as well as those who have experience working with families in this unique developmental stage. It will serve as a safety net for families seeking care and providers seeking referral options. This Guide will not serve as a recommendation or endorsement of specific providers, but will simply serve as an informational listing for those seeking support. Thank you for taking the time to submit your information so that those seeking help can make the connections they need. Review eligibility requirements/fees, completely fill out the application and submit payment below. Your application will be reviewed by the Resource Advisory Committee and you will be contacted if they have any additional questions. If your application is approved, your listing will be added to the guide and printed in January 2019. 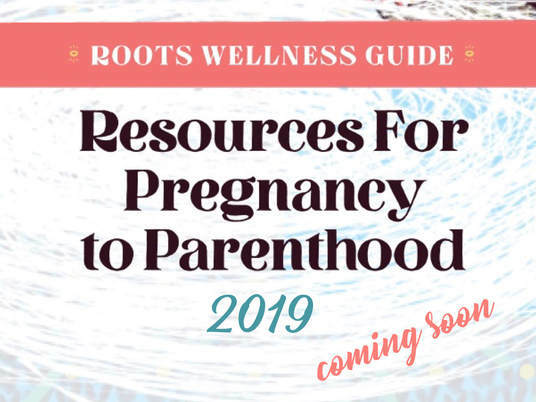 One more step and you're on your way to listing in the 2019 Roots Wellness Guide! Our mission is to connect all families to the support they need from pregnancy to parenthood. ​Roots Family Collaborative is a 501(c) 3 non-profit organization.